BUFFALO -- U.S. Attorney James P. Kennedy, Jr. announced today that David Hunter, 22, of Buffalo, NY, who was convicted of being a felon in possession of firearms, was sentenced to serve 27 months in prison by U.S. District Judge Elizabeth A. Wolford. Assistant U.S. Attorney Joseph M. Tripi, who handled the case, stated that between March 3, 2017, and March 12, 2017, the defendant posted images to “Snap Chat” depicting himself in possession of a Hi-Point, model JH-45 semi-automatic firearm. On April 1, 2017, New York State Parole Officers, assisted by members of the Buffalo Police Department, searched Hunter’s residence, recovered a Hi-Point, model CF380, .380 caliber semi-automatic firearm, and arrested the defendant. 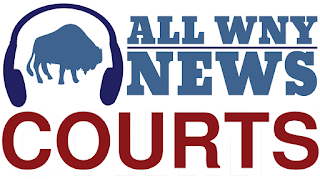 The defendant was previously convicted in state court of Criminal Possession of a Weapon in February 2014 and is legally prohibited from possessing a firearm. The sentencing is the result of an investigation by the Bureau of Alcohol, Tobacco, Firearms and Explosives, under the direction of Special Agent-in-Charge Ashan Benedict, New York Field Division; the Buffalo Police Department, under the direction of Commissioner Byron Lockwood; New York State Parole, under the direction of Acting Commissioner Anthony J. Annucci; and the Erie County District Attorney’s Office, under the direction of John Flynn.